Many parents do not really know which safety seat they should choose for their baby or how they should start looking for one. Some parents choose seats because they like the pattern and color, some choose the cheapest, some the most expensive, some do not choose, but use what they got from the family and I could go on with many ideas. However, I think the reason why you are here is that you want to belong to the ones who consider several factors and make a clever choice. So, below I am going to give you some tips on how to choose a car seat for a baby. The order is not in the order of importance, you should take into consideration all of them together. Good luck! I cannot emphasize enough that the most important step is to check the selected seat’s ADAC test’s results. If you like a seat that has not been tested, forget it and find another seat that you like that has been tested. Your baby’s life worth way too much just to risk it for a nice color or pattern. If there is an ADAC test for your chosen seat, then check its results and if it is good enough for you then all you need to do is to buy the seat (obviously if it is the right size). The other option is that you check (here) all the seats that have been tested lately. You can only find ADAC tested safety seats on this homepage, and then you do not have to bother with finding out your chosen seats’s ADAC results. Select the size, decide if you want and can use ISOFIX and you can purchase your seat right away. According to the weight of the baby, 5 different types of child seats can be distinguished – in addition to iSize. Weight is always considered the decisive factor, not age or height! 0+: 0-13 kg. One of the safest solutions for toddlers. You can put in your baby as long as the top of his / her head stays in the shell. II. + III. Booster seats with backrests to increase protection while the child is asleep or during side crash. I. + II. +III. usually a compromise. In stage I. it is very important to put the baby in a good sleeping position. Most places in the world require the children to travel in the rear seats, and most also permits to use the adult seat belt after a certain age, height and weight. 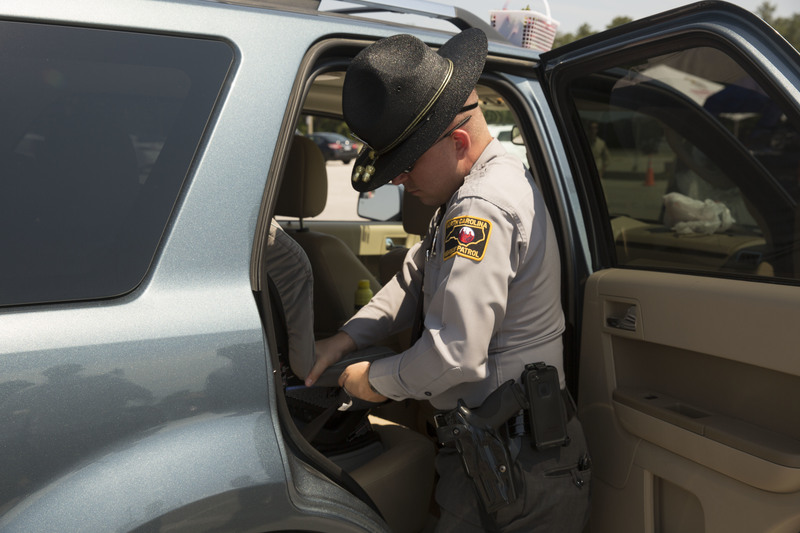 49 states, the District of Columbia and Puerto Rico: booster seats or similar devices are required for those children who do not fit their child safety seats anymore but are not tall enough to use an adult seat belt safely. i-Size regulation: since 2013 it is advised but not compulsory to use an i-Size seat in a rearward-facing position up to 15 months to provide the baby extra protection. 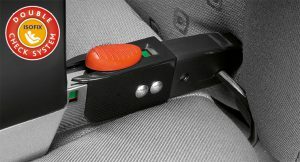 The old regulation is also valid, so you do not have to upgrade your existing safety seat. This is just another, safer option. These seats protect more the baby’s head and neck as they sit longer in rearward position. Also, these seats have a minimum criterion for side impact (not like before). Because of the ISOFIX system it is less likely that you install the seat incorrectly. All the i-Size car seats fits perfectly in the cars that have ISOFIX system. Seat belts must be used in all vehicles. Children over 1.35 m can use an adult seat belt. Children who are smaller than 125 cm are not allowed to sit in a car seat that does not have backrest (booster cushion). You can still buy those car seat models which allow the children who are smaller than 125 cm to travel without backrest, but only for a limited time. However, it is not advised because of safety reasons. Rear-facing child seats are not allowed on the front passenger seat – only if the airbag has been deactivated. Countries can have additional rules – check them before you purchase. ISOFIX: the ISOFIX system is standardized internationally to fit car seats in the vehicles. With the help of the ISOFIX you can insert your safety seat in the safest, quickest and easiest way into your car – without a seat belt. Does your car have ISOFIX? First and foremost, if your car is too old, it might not have ISOFIX. It has only been a standard element in most of the cars since 2006. Another improvement is that since 2013 two lower ISOFIX anchorages and a top tether have to be put in all new cars. You can find out if you have ISOFIX from your car’s user manual or by checking your car’s seats for ISOFIX logo. Below you can find both the advantages and disadvantages of ISOFIX and seat belt method. Up to 8 out of 10 inexperienced parents cannot install the car seat with a seat belt causing dramatic reduction in protection in case of a crash. most common mistakes: the belt is not pulled tight enough, or the belt is left twisted. If you think about buying a seat for your kid (not baby) where he / she is secured with the car’s own three-point seat belt, then make sure before you buy it that the seat belt is pulled back cleanly after the child has leaned forward. Some seats can be bought with both ISOFIX and seat belt method – this way you can enjoy maximum security and flexibility together. Do you have a problem with your back? It might seem a weird question in this topic but if you regularly have a pain in your back you might consider buying a baby safety seat where you do not have to bend and take in and out the seat all the time with your baby on your arm. There are seats that you can spin rearward, forward and even everywhere in between. You can always leave your seat in the car, you do not have to bend, just put in or take out your baby from the easiest angle. Last but not least, consider how much money your can and want to spend on your safety seat. Keep in mind, that it might cost more than you would want to spend, but it is still one of the most important purchase for the life of your baby and you are also going to use it for months or even years. that’s a well written guide on buying baby seats. My wife and I bought one for our son a year ago, and I couldn’t agree more on the fact that you need to make an informed decision. ADAC is certainly one very good resource! We have a small but highly specialized store in a city nearby where you actually need an appointment. Then a representative will look at your kid, your requirements and your car and make a proper recommondation. That was very helpful! What is your take on reboarders? From what age on would you suggest to let your kid ride looking forward? Benni is almost 3 and he’s still riding in a reboarder, which I think is much safer! You are very lucky that you have such a store nearby, I must say it is very rare unfortunately (at least where I live). Well, it is a good question. Leaving them as long as possible in a reboarder is the best and safest thing that you can do. In case of an accident, your son is much more protected if facing backwards than in any other position. It is usually suggested to leave the kid in this way till the age of four (if there is enough space for his legs), as the muscle in the neck is not strong enough in case of an accident. I would say that even if there is no accident, several times you have to use the brakes suddenly and / or you just use them harder and even an adult’s head can be thrown forward. You can imagine what it could do with a baby or toddler. Car seats have changed so much over the years! My kids are all grown but one. I have one grandchild on the way, and I plan on getting them a car seat as a gift. So this is a great guide for me, since it has been a few years and even the regulations have changed I am sure. Thank you so much, super information! Happy to help! I hope you find the most suitable seat for your grandchild. All the best! Great article! Even if my child doesn’t need a car seat anymore, thanks to your post I remember our many hours spent in purchasing the best car seat. We’ve selected one with ISOFIX system and as you mentioned, it’s a bit heavier compared with one without ISOFIX, but the baby safety is more important. I absolutely agree, safety must be the most important thing when it comes to babies. I know what you mean, I can spend so much time finding the right equipment, especially when it is about such an important thing as a baby seat. Great article. I use an isofix now after I discovered that I had put in my babies car seat incorrectly for the first month. I was totally horrified. Invested in an isofix and I can now relax that it is installed safely. Great information here. Thank you very much for your comment, I can’t imagine how horrified you must have been when you found it out! I heard so many similar stories as yours, and thanks God nothing serious happenes during that first month. Isofix is really the best, there is so little chance to use it incorrectly.